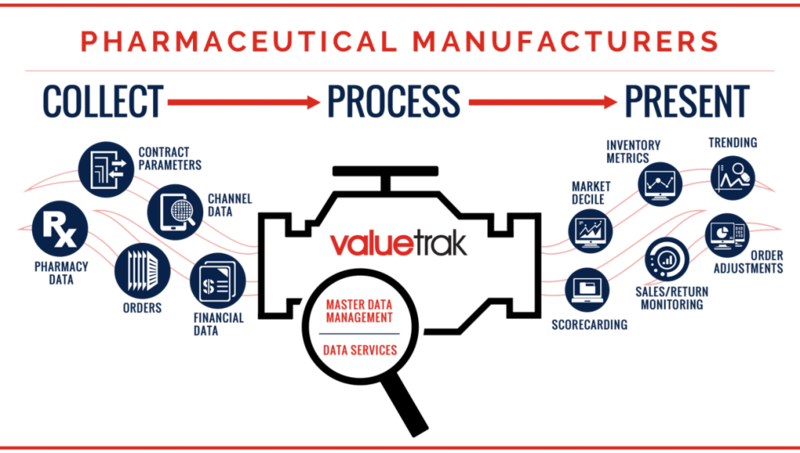 ValueCentric’s ValueTrak platform provides industry leading data management and analytic tools to ensure healthcare products reach patients as needed. ValueTrak collects and aggregates data from distributors, pharmacies, and 3rd party data pools on your behalf. Data is processed in real time and validated through our proprietary Master Data Management technology to guarantee accuracy. Your data is available on-demand through the cloud, providing insight into sales performance, inventory positions, and custom calculations specific to your company. Data insights are a click away with easy-to-interpret reports in ValueTrak. Our proprietary MDM technology cleanses and enriches any external data source, creating a unified set of data. The result is a singular set of data allowing for clear, accurate reporting. ValueTrak encompasses infinite charting, graphing, and dashboarding capabilities with a flexible analytics engine. Reports are mobile-optimized for any smartphone or tablet. Our experienced support team is available whenever you need help, and comprehensive product training ensures a smooth implementation. Our team helps you uncover the true value of your data! Your data lives on our cloud, ensuring 24/7 access across all devices. ValueTrak seamlessly integrates with your ERP system and BI tools, and our custom reports are sharable across your organization.